This is the CSE Group Virtual Meetup Forum Category where we will contain all our Virtual Meetup sessions. If there is a Monthly Meetup in "Virtual Mode" it will be listed here. 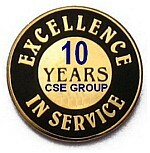 For our CSE Group Members who are participating in the COIN Glorious Failure Challenge, this is a Virtual Form that is going to Run from June 29, 2013 through August 29, 2013. The purpose of this Virtual Meetup is to support the efforts of our members, provide resources and tips and engage in a back and forth exchange between members using our online forum.